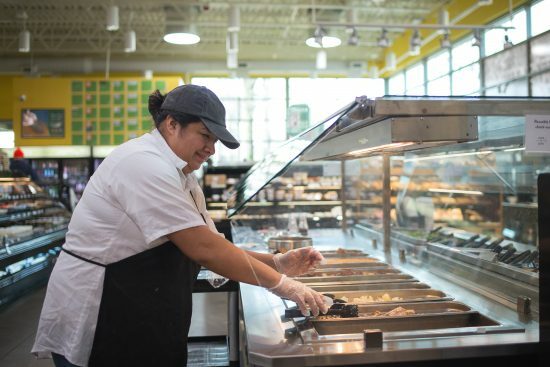 If you’ve enjoyed a meal at our hot bar recently, you’ve noticed we converted the set up into a vibrant taco bar with traditional and authentic meats, housemade sauces, varying veggie-based side dishes, all the toppings, and fresh tortillas sourced locally from La Superior. The selection includes vegan options for those looking for plant-based dining. We are excited about serving consistently delicious, quick and easy options for lunch and dinner. And while the taco bar is our new normal, day to day dishes vary, so be sure to stop in and savor the fresh, delicious, and affordable cooking served at the Co-op everyday.